"Windows is great. The way Windows installs applications, however, is an out-of-date mess, adding local dependencies and unnecessary cruft to your system. In this day and age, there's no reason to stick with Windows' antediluvian default. What's the alternative? Using portable apps, you can install an app once, have all of the necessary files in one place, and even sync its settings across different machines with Dropbox. Handy, right? Here's how it works, and why you should do it." 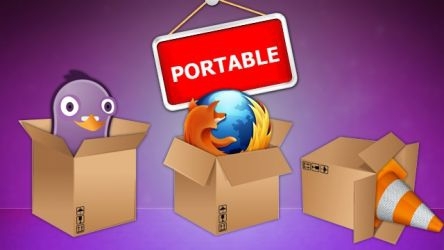 Portable apps have been around for a long time, and have matured over the years. Now they are quite easy to use, and cover a wide range of needs. While there is a lot of merit to portable apps, the paranoid voice in me screams that they are a bad idea. I have used them in the past, but now that I bring my own computer with me everywhere, either in tablet or laptop form, I find little need for being able to run apps on someone else's computer. I also find myself not trusting what else could be on their computer. When it comes down to it, I just remote into my PC at home if there is anything that needs to be done. What about you? What uses have you found for portable apps? Am I wrong?